Welcome to the ellen-k FINE ART PHOTOGRAPHY web-site. FINE ART PHOTOGRAPHY can please, provoke, engage, and pose disquieting critical questions by exposing what we prefer not to discuss openly, and at the same time display mesmerizing beauty. ellen-k FINE ART PHOTOGRAPHY identifies and promotes Fine Art Photographers with high social awareness and consciousness. We promote artists asking questions, rather than offer us all the answers - artwork containing beauty, irritation, humor, resistance and delight. ellen-k FINE ART PHOTOGRAPHY will be opening a gallery celebrating FINE ART PHOTOGRAPHY in Oslo, September 2010. Please enjoy our virtual gallery, and feel free to contact us for a one-to-one presentation of the artwork and the artistbooks that we offer. 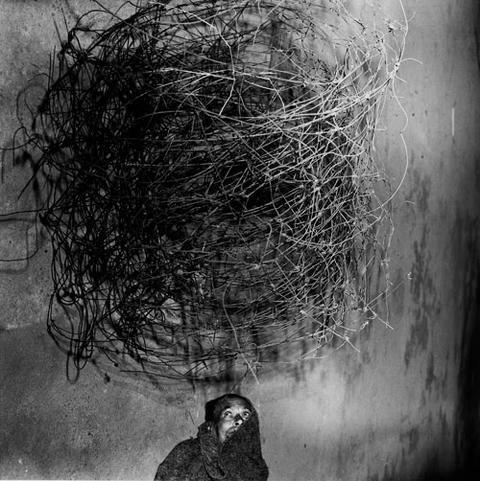 Roger Ballen currently has a retrospective exhibition at the Stenersen Museum in Oslo (www.stenersen.museum.no). 7th LANE – Events and opening hours. 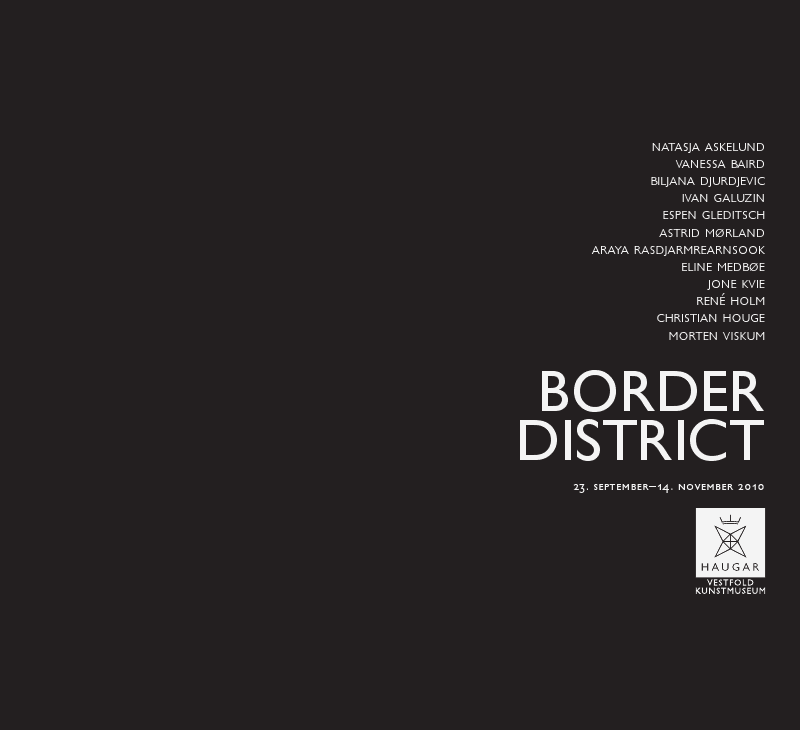 7th LANE – Artisttalk – Steinar Christensen vs curator Arnt N Fredheim. Steinar Christensen’s unique artistic practice operates in future, present and past, with references to both the Dutch Golden Age paintings and a futuristic industrial age. His artist talk will be on his thoughts about art and the driving forces to create, but also about the ways his work can be interpreted. Saturday June 5th at 1 PM. 7th LANE – Artisttalk – Christian Houge guides us into a mystery. In Houge’s most recent body of work OKURIMONO, the sense of sameness withdraws and a very different feeling of strangeness creeps up on us. In fact, what this series registers is a remarkable place of alterity in today’s global order, a radical difference bang in the middle of the familiar. Sunday June 6th at 1 PM. 7th LANE – Your portrait made by the French photographer William Ropp. William Ropp is known for the unique style in which he captures the mysterious aspects of human nature. Placing his subjects in absolute darkness during extended exposures, he uses a flashlight to paint a magical effect of illumination and shadow in what he calls ‘The dance of light’. Saturday 12th and Sunday 13 of June, from 11-3 PM. For booking, please send us an email at post@ellen-k.no. 7th LANE – Booksigning – Joyce Tenneson. Internationally lauded as one of the leading photographers of her generation, Joyce Tenneson’s work has been published in books and major magazines worldwide. Her images have been displayed in exhibitions worldwide and are part of numerous private and museum collections. Her portraits appear frequently on covers for magazines such as: Time, Life, Newsweek, Premiere, Esquire and The New York Times Magazine. June 16th at 7PM. Our opening hours are from 12-5 PM thursday-sunday till 25nd of July. 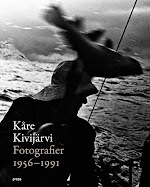 Vernissage on June 2 at 7:00 PM, Lilleakerveien 4B, Oslo. Most artists will be present at the opening or during the exhibition. 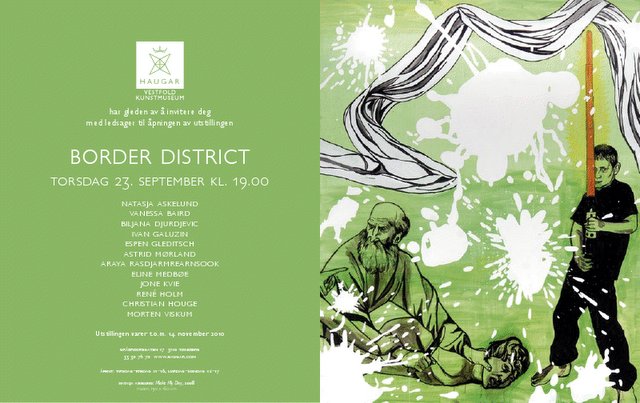 THE DIVINE IMAGE – Steinar Christensen exhibition in Denmark. Russian icons are challenged by the Norwegian artist Steinar Christensen’s colorful photographs. The exhibition “The Divine Image” at The Museum for Religious Art in Lemberg, Denmark, juxtaposes a selection of the collection of Gallery Bodøgaards icons to mr Christensens photographs. The belief in the inherent divinity of Russian icons have been important for their design and attractiveness. Juxtaposing Russian icons to contemporary photography creates an interesting dialogue on the authenticity of contemporary photography and art, and the reach for the divine. Museum for Religious Art, Lemberg, from 13th of March to 16th of May 2010. To enjoy the entire Still life series by Steinar Christensen – click here. A review of the exhibition is published by Danish newspaper Kristeligt Dagblad. 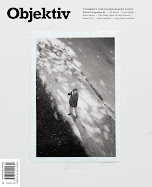 Another review of the Devine Image – by Mette Trolle Rassmussen from the Danish paper Kunstavisen. Letter to the editor from Sten Abrahams, printed in Holsterbro Dagblad and Lemvig Folkeblad. It is with great pride we announce that the Norwegian artist Steinar Christensen (1946) is among the artists represented by ellen-k FINE ART PHOTOGRAPHY. 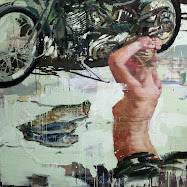 This is the first preview of Christensens latest body of work, `From the 5 corners of the world`. Please contact us to arrange a private viewing of the artwork. We are amazed by his artistic achievements over the past 40 years, and feel confident that Mr Christensen will continue to contribute to the international art-scene in many years to come. Christensen has worked within a variety of media and with different materials, often in collaboration with experts in specific disciplines. His last major art project was unveiled at Refsnes Gods in Norway in June 2009. The Refsnes Frieze was inspired by industrial aesthetics and extensive industrial history in Moss, and it is thorougly documented in the book `Steinar Christensens Refsnes-frise` by Arnt Fredheim. - On Steinar Christensen’s appropriation of Jan van Kessel’s Four Continents from 1666. In a world of changes, where words like ’storms’ and ‘floods’ are seen in daily use and the magnetic north pole is fixed somewhere over Canada and moving full ahead against Sibiria, a modern version of the Four Continents by Jan van Kessel may no longer dwell on the fixed vision of the four continents. Turbans are to be swapped by fire extinguishers. The lingering brown hued Arcadian landscapes are to be filled with snow. Anonymous moths must take the place formerly occupied by Oriental butterflies. Chilly Nordic landscapes must be given the ambiguous apparition of snow-scapes from a postcard-world, with anonymous Arran Browns and reminiscences of low-voiced vegetation counteracting its icy magnificence. 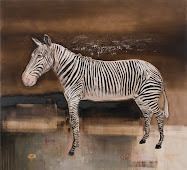 Van Kessels basic context and his excuse to commit his brushes to the painting of natural history collections, namely the possibility to revere in powerful symbols and an triple-eyed iconography, is scraped to the skin, yes maybe even to the bone. And so we are left with empty industrial halls filled with silent white light, a solitary spade or a row of windows watching us with all their knowledge. We are left with concrete walls bereaved of its former make-up and an understanding that the times people inhabited these premises are long past. The particular structure created by van Kessel by filling a center panel with a voluptuous and life-enjoying vivacity, and by framing this center panel with 16 smaller sister panels communicating with its larger brother in the middle, easily finds a place in our world of digital pull down-menus. In the same manner our world has become globalized – our sense of directions has changed from south to north rather than west to east, so the continents or what we commonly call the four corners of the world, is anonymized in Christensen’s pictures. We are left with what the Chinese would call ‘mo jüan’, ink traces, a word they used to describe both painting and calligraphy. And in the same manner Chinese calligraphers put their pride in performing true art with their writing, but at the same took the care to hide the hard labour and the deep understanding behind every trace of ink on the silk paper, Christensen’s world of pictures seem a little haphazard, muscularly un-precise and yet deadly to the point. The pictures are pure concept art, based on long studies, thorough planning and a synthesis of many years of thinking around aesthetic questions. When the whole composition is ready in the mind of the artist, he calls his photographer, Gunnar Mjaugedal, who under thorough – but silent – instruction helps him to visualize his projects.